Window vinyl, neon lighting, and etched acrylic LED panels. 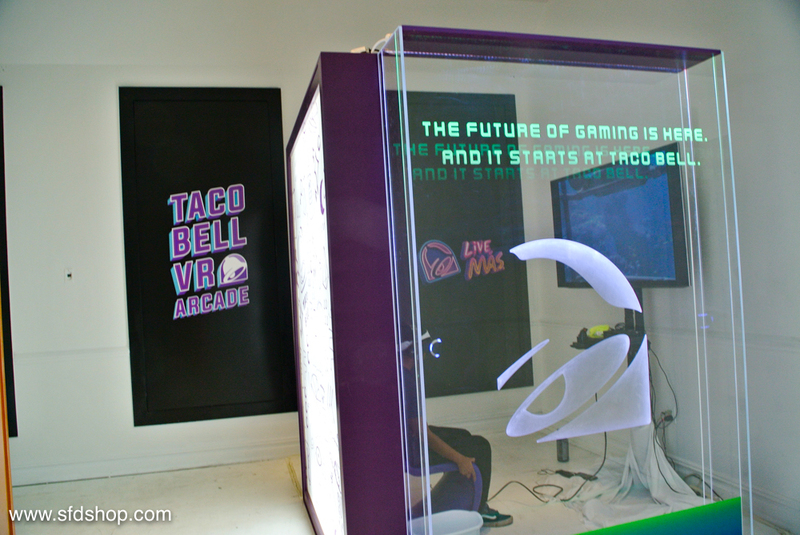 Virtual reality arcade pop-up shop in SoHo for Taco Bell's partnership with Sony Playstation to promote their console giveaway. Designed and produced by Cyrano Rox.